Late to the party as usual, I’ve been enjoying Radio 3’s coverage of music that more than deserves its day in the sun – and longer than that – to mark International Women’s Day a couple of weeks ago. Most of the focus has been on women making music now, today and tomorrow, and understandably so. But there’s more to pre-modern women composers than Hildegard of Bingen and Artemisia Gentileschi. Writing and editing the booklet for a forthcoming festival – It’s All About Piano! – at the Institut français in Kensington, I’ve had cause to discover three names, and the appearance of their music in the UK is all the more striking for its rarity. Of Mel Bonis, Marie Jaëll and Hélène de Montgeroult, the last named is the first born, and the most interesting to me. Bonis and Jaëll were of the same generation as Amy Beach and Dame Ethel Smyth, not to mention Johanna Müller-Hermann whom I wrote about in an earlier blog. All these women benefited from technological and political change that made possible, just about, a career in music, even if in the teeth of opposition from men who thought they knew better. Hélène de Montgeroult, however, was born in Lyon in 1764: hardly a promising time and place for a woman to make a profession of anything other than sewing or religious sisterhood. 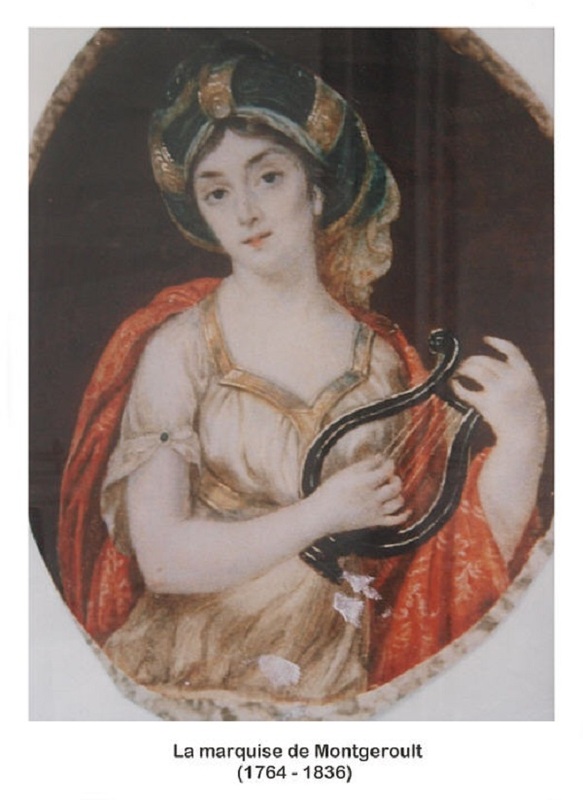 However, as her handle implies, she had wealth on her side – presumably enlightened or at least supportive parents too, for she trained with Clementi and others in Paris, before studying composition with Jan Dussek and Antonin Reicha. She was even (inevitably?) an ‘intime’ of Mme du Staël. The story goes that, come 1789, Hélène de Montgeroult was spared the guillotine by improvising variations on the Marseillaise in front of the Committee of Public Safety. Si non e vero, e ben trovato… Just six years later, she became the woman to be appointed as a professor of piano at the Conservatoire and when poor health forced her to give up teaching, she continued to perform in public with celebrated violinists of the day such as Baillot and Viotti. As all good teachers of the day did, she left a Complete Course of study for pianists, written between 1788 and 1812. This gathers together more than a hundred progressive studies – progressive in the sense that they get harder as you work through the volume. The later Etudes and the Eighth Sonata are the places to go. Etude No.112 is a three-movement sonata in all but name. Emphatically anything but ‘salon music’ of the light and diverting kind disparagingly associated with feminine music-making, the first movement grows from a sombre Adagio into the kind of driven Allegro we more readily associate with Beethoven, before subsiding back to the Adagio’s distracted march. OK, so the fugue subject of the finale is ersatz Beethoven, its development full of the nervous intensity that makes any imitation pale. The Sonata looks forward further, to longer melodies that turn in on themselves while preserving a certain Classical form and grace, in a style more familiar to us through the work of John Field. It can’t be said that her career was cut off: she died in Florence, at the age of 72, and is buried in the cloister of the church Santa Croce. Posted on March 17, 2015 by Peter Quantrill	This entry was tagged Beethoven, Hélène de Montgeroult, Institut français, It's All About Piano, piano. Bookmark the permalink.